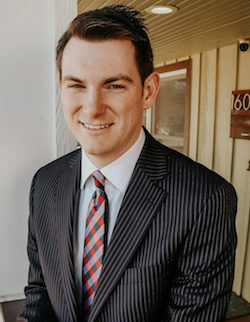 J.P. is an experienced trial lawyer who has represented clients in federal, state, and municipal courts throughout Oklahoma. He honed his skills trying and negotiating cases as a public defender and has worked alongside some of the best criminal defense lawyers in the state. Last year alone, he received four acquittals, including one for first-degree murder. The only thing that overshadows J.P.’s passion for the law is his desire to help those who are in need. After moving to Oklahoma to study theology at Southern Nazarene University, he quickly realized that his calling was to stand up for others and help them seek justice. To further his calling, he completed law school at Oklahoma City University. Since then, J.P. has resolved hundreds of criminal cases. Whether he’s trying a murder case or negotiating a traffic citation, you can be assured that he will work tirelessly to help you achieve a just result.